The Nahukuá are the smallest of the groups making up the cultural area known as the Upper Xingu, contained within the Xingu Indigenous Park, whose peoples speak different languages but share ways of life and the same worldview. These groups are still connected by a system of ritualized exchanges and inter-village festivals and marriages. This entry describes some of the particularities of the Nahukuá people within this Upper Xingu universe. General information on the Upper Xingu can be found on the page dedicated to the Park. Like the Kalapalo, Kuikuro and Matipu, the Nahukuá speak a language belonging to the Carib family. The Nahukuá share the same dialect as the Kalapalo and the Matipu, while the Kuikuro have their own dialect. But all are mutually intelligible. A school functions in the village with two trained indigenous teachers. The Nahukuá, like other Carib-speaking Xinguanos, traditionally occupied the southeast portion of the Upper Xingu region. When Karl von den Steinen visited this area in 1884 and 1887, the Nahukuá-Kalapalo-Kuikuro, then recognized as a single people, were one of the largest groups and were distributed in nine villages. Paul Ehrenreich, who accompanied Von den Steinen on his second expedition, reported the location of a Nahukuá village on the Kurisevo river and the existence of another six or eight villages along the Kuluene river during this period. The village on the Kurisevo was composed of 13 houses arranged in a circle around a male flute house. Between 1900 and 1901, Max Schmidt undertook another expedition to the headwaters of the Xingu, obtaining new data on Upper Xingu culture. He mentions the Nahukuá in passing as one of the few Carib peoples inhabiting the area south of the Amazon river. His hypothesis was that most of the peoples had migrated to the southwest region of the Guianas. Between 1947 and 1949, Pedro de Lima undertook four trips downriver on the Xingu and located the Nahukuá in the southeast part of the area with a drastically reduced population (28 people). Some time later they no longer had their own village. In the 1960s, encouraged by the Villas Bôas brothers, they built a new village close to that of the Kalapalo. They lived in this area for eight years until a killing attributed to sorcery frightened them and led them to migrate. In 1977, however, they were already back living on the eastern shore of the Kuluene, at Ipa lake, situated to the southeast of the Kalapalo village. 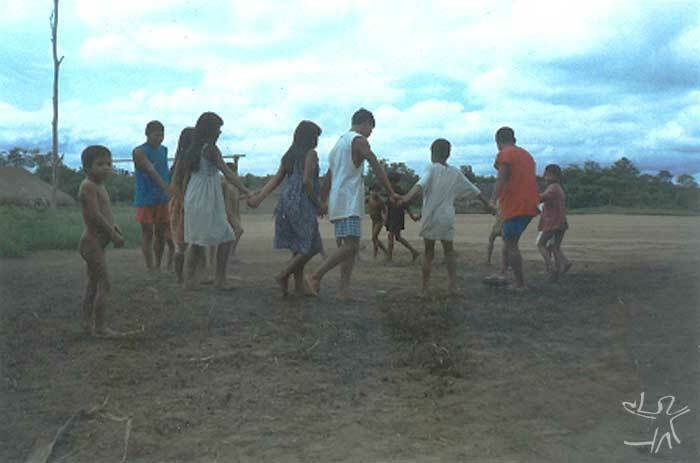 The Leonardo Villas Bôas Indigenous Post, located in the northern portion of the Upper Xingu, acted as a magnet for the inhabitants of Upper Xingu villages, representing an area where all the groups could interact and inter-relate comfortably, minimizing the distance between the villages. Currently, the Nahukuá travel to the Post at least every two months during the dry season. Frequent visits have familiarized the Nahukuá with other groups and territories. During his journeys on the Xingu river between 1947 and 1949, Pedro de Lima counted just 28 people among the Nahukuá. In 1953, a measles epidemic exploded and the ethnologist Agostinho da Silva estimated that, at the time, a minimum of 35 and maximum of 44 people were living together in a single village. The situation was so bad that in 1954 the ethnologist Gertrude Dole announced that the Nahukuá people were already extinct. 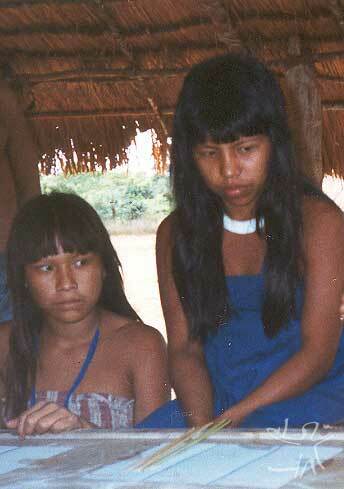 However, improved healthcare and interethnic marriages allowed the Nahukuá to recover. In 1963, there were 51 people and in 1977 around 69 individuals living in the village. The process of demographic recovery increased in later years and the Nahukuá now number 105 individuals. The Nahukuá, like other Carib-speaking peoples in the region, are renowned for their production of necklaces made from the shells of a large terrestrial snail, an item highly valued in the Upper Xingu. The Nahukuá store industrialized salt in their village since they prefer this product to the Xinguano version made from potassium chloride. Formerly they depended almost exclusively on the Leonardo Villas Bôas Post to obtain other non-indigenous goods, but today there is an indigenous nursing assistant and two teachers who receive wages, meaning that the village’s access to industrialized products is now easier. Agricultural activities are undertaken in swiddens close to the village. Slash-and-burn agriculture is facilitated by the use of metal axes. The forest is felled in May and June when the dry season is coming to an end. The area is burnt at the end of August and in September before the rains arrive. The swiddens are planted in September depending on the desired crop. Men are responsible for this activity, as well as the burning, while women take care of the weeding and harvesting. Despite a preference for fishing, the Nahukuá, like the other Upper Xingu groups, hunt with firearms and bows and arrows. Fish is certainly more frequently consumed, but they also hunt monkeys, river turtles and birds such as curassows, guans, tinamous and doves, which are especially consumed when eating fish is forbidden. For example, at birth or when a child has a serious illness, at least the mother, but sometimes also the father and the child's siblings, avoid eating fish for a lengthy period. In these cases, only manioc or manioc combined with monkey or bird meat can be consumed. Along with fishing, gathering comprises an important additional source of food for the Nahukuá. Turtle eggs in particular provide a high quantity of protein and calories. These eggs are eaten raw or cooked with beiju (manioc bread). During the season when they proliferate, small groups leave the village for several days and bring back large baskets full of eggs, which are distributed in the village. 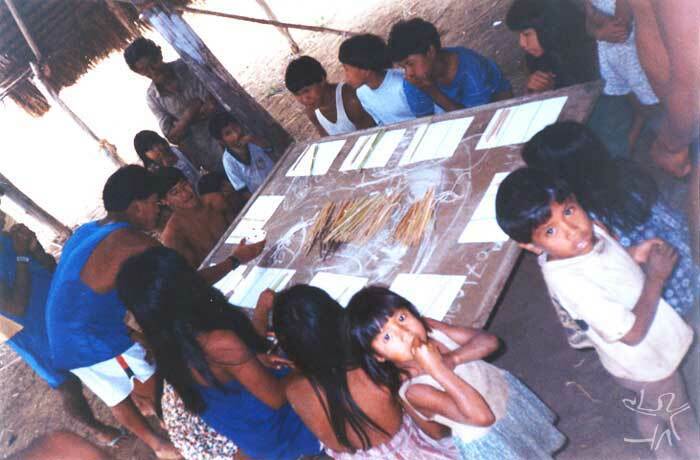 Nahukuá subsistence practices are very similar to those of other Upper Xingu groups. Hence they tend to favour the cultivation of bitter manioc and plant smaller quantities of banana, potatoes, watermelon, pineapple and maize. The relations between the Nahukuá and other groups in the area are generally good, despite the long history of hostilities between some of these indigenous groups. For example, the Ikpeng and the Nahukuá were at war when Von den Steinen arrived in the region in 1884. Indeed, the decimation of the Nahukuá population, which caused the nine villages counted by Ehrenreich in 1929 to decline to the single village existing today, was attributed to interethnic conflict and the diseases introduced by non-Indians. 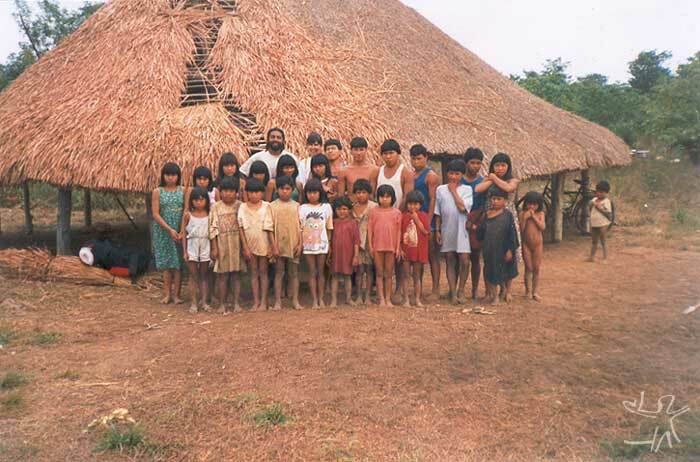 The Nahukuá had contact with non-Indians via the Leonardo Villas Bôas Post or when they went to work or sell produce at farms or at the former base of the FAB (Brazilian Air Force), deactivated at the start of the 1990s. But currently, with the various dirt roads providing access to the region’s towns and farms, the Indians leave the Park to sell craftwork in Brasília and São Paulo, or to purchase foods in the nearby region, primarily in Canarana (a town easy to access and heavily frequented by the Xinguanos). Like other Upper Xingu peoples, the Nahukuá perceive bodily discharges to be potentially dangerous. Blood, especially menstrual blood or that contained in the placenta, is particularly problematic. When a woman gives birth, for example, other women look to instruct her in order to ease the delivery. However, nobody may touch the mother since her bodily secretions present a serious danger. Among the Nahukuá, the phases of a person's development are marked in the same way as the rest of the region. Hair cutting, scarification, reclusion at puberty and ear piercing are all forms of social recognition of an individual’s change in status. The Nahukuá take part in the same inter-village rituals as the other groups of the area. Yawari, Kwarup and wrestling are an important dimension of the relations between villages. Nahukuá men regularly practice wresting and spear throwing in order to perform well in these encounters. Before the expansion of western medicine in the Park, shamans possessed a much greater power. However, the work of doctors and other healthcare professionals has not annulled the importance of shamanism. Some sicknesses are considered ‘indigenous,’ such as soul theft by sprits and sorcerers, and these can only be cured by shamans. Their technique involves removing pathogenic objects from the body of their patients, primarily through suction and massaging. Tobacco smoke and singing are also important elements of the curing process. As well as healing people, shamans also possess political power. This page was last edited on 26 March 2018, at 17:13.